Home → Makeup Courses → Personalised Makeup Classes → Beauty Therapy- What Is It And Why Do You Need It? Beauty Therapy- What Is It And Why Do You Need It? Who here does not want to be the best possible version of themselves? From the inside out we want to be the most beautiful we can be. Looking good is the mantra of today’s world because when you look good on the outside, you are confident from the inside. This confidence not only boosts our happiness and enthusiasm but also helps us have a more positive response to life. When you are looking this good nothing wrong can spoil your mood. We all have felt this at least once in life. 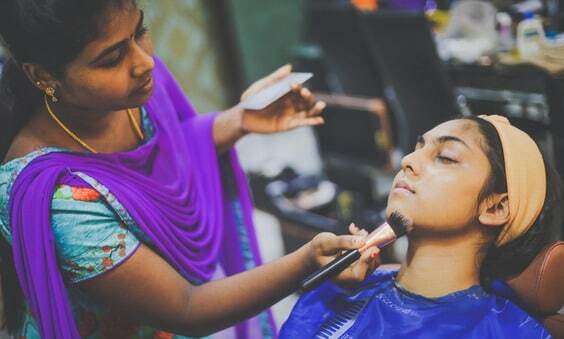 Makeup is one of the tools people turn to when they feel like looking beautiful. 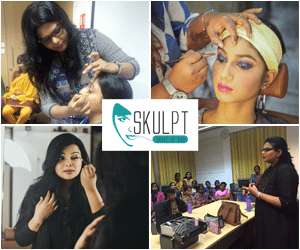 This has given a major uplift to makeup artist course in Chennai, Bangalore and every other metropolitan city in the nation. People are coming in droves to become the next ‘it’ makeup artist. But another way to enhance the beauty of a person naturally is to go for beauty therapy. Beauty therapy is a procedure that not only beautifies a body but has a healing and rejuvenating effect. A good spa treatment is one such example. Women for generations have been opting for facial masks, massages, manicures, and pedicures. When taking after a long stressful day of working at home or the office, they can really help relax the body and muscles. This beauty therapy is a simple tool that amplifies your appeal while having a therapeutic effect. We might call it pampering ourselves colloquially, but there is no doubt that skin and hair treatments can have a refreshing and reviving result. The reason beauty therapy has so many benefits is that the entire experience works to make you revitalized and energised. From the minute, you enter a spa the soothing colour tones of the decor, the simple music that calms the little soul things work together to make you feel as if you have come from a weeklong vacation. It is not only the professional and skilled aestheticians that work on you who make taking a beauty therapy advantages. The feeling of good hair, sparkling nails or a flawless, glowing skin that add a punch of confidence that changes our entire outlook. Another reason you need beauty therapy is that it can take care of any skin problem you may have. A therapy uses natural ingredients like oils for the treatment. These oils have properties that are mandatory to maintain the health of skin and hair. They can also be used to treat some ailments of the skin. When mixed with other products and the massaging motion a therapy can relax even the most tightly knotted muscles of the body. A beauty treatment can also be used to remove a bad case of acne or just general spotting. When you see a change in yourself, you feel good from within. The validation of others holds less importance. This is one of the most vital reasons every person needs a beauty therapy. To be comfortable in your skin, to know that you have value and that life is positive. Yes, a major benefit of beauty treatment is healthier skin, hair, and body but nothing can bring joy to and the feeling of being beautiful that even strangers compliment you on.